Markus Stenz Conducts Kurtag World Premiere at La Scala | Kirshbaum Associates Inc. This November at Teatro alla Scala, conductor Markus Stenz leads the world premiere of the highly-anticipated world premiere performance of Fin de Partie, the first and only opera by the beloved, visionary composer György Kurtág, composed at the age of 91. Based on the famous Samuel Beckett play, commonly performed in English as Endgame, the operatic version, to be sung in French, has been more than seven years in the making. At 450 pages, Fin de Partie is by far the largest score ever composed by the reputed “master of the miniature,” who has for several decades maintained the desire of writing a musical treatment for the sparse, sardonically existential work. This production is staged by internationally-acclaimed artistic and theater director, Pierre Audi. Following the world premiere in Milan, Stenz and the full cast bring the production of Fin de Partie to the Dutch National Opera in March 2019. Markus Stenz is, and has been, an invaluable advocate for 20th- and 21st-century music and operas, which has resulted in his conducting a significant list of world premiere performances throughout the classical world, including Detlev Glanert’s Caligula (2006) at Oper Frankfurt and Solaris (2012) at the Festspiele Bregenz, and Hans Werner Henze’s Das verratene Meer (“The Betrayed Sea”) (1990) at Deutsche Oper Berlin, Venus und Adonis (1997) at Bavarian State Opera, and L’Upupa und der Triumph der Sohnesliebe (“The Hoopoe and the Triumph of Filial Love”) (2003) at the Salzburg Festival. Stenz’s expansive, multi-continental career reflects the breadth of his artistry and international regard as an inspirational collaborator. 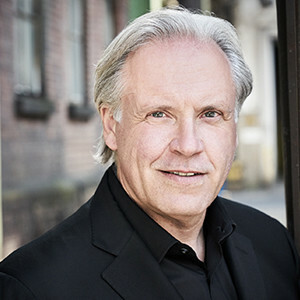 Markus Stenz currently serves as Chief Conductor of the Netherlands Radio Philharmonic Orchestra. He is also Principal Guest Conductor of the Baltimore Symphony, and Conductor-in-Residence of the Seoul Philharmonic Orchestra, in addition to his extensive international guest conducting engagements. His previous positions have included General Music Director of the City of Cologne and Gürzenich-Kapellmeister, Principal Guest Conductor of the Hallé Orchestra, Music Director of the Montepulciano Festival, Principal Conductor of the London Sinfonietta – one of the most renowned ensembles for contemporary music – and Artistic Director and Chief Conductor of the Melbourne Symphony Orchestra. In his North American home of Baltimore, The Baltimore Sun has said of the conductor, “Stenz exuded endless energy from the podium. Even in moments of lyrical reflection, he kept a sense of tension going, so that the music seemed capable of sprinting off again at any moment.” In addition to Stenz’s regular duties with the Baltimore Symphony Orchestra, his North American engagements include performances with the Pittsburgh, Oregon, and Nashville Symphonies, with acclaimed soloists such as violinist Vivane Hagner and pianists Behzod Abduraimov and Juho Pohjonen. Highlights of Maestro Stenz’s previous season included guest conducting engagements with the symphony orchestras of St. Louis, Minnesota, Utah, San Diego, and Colorado. 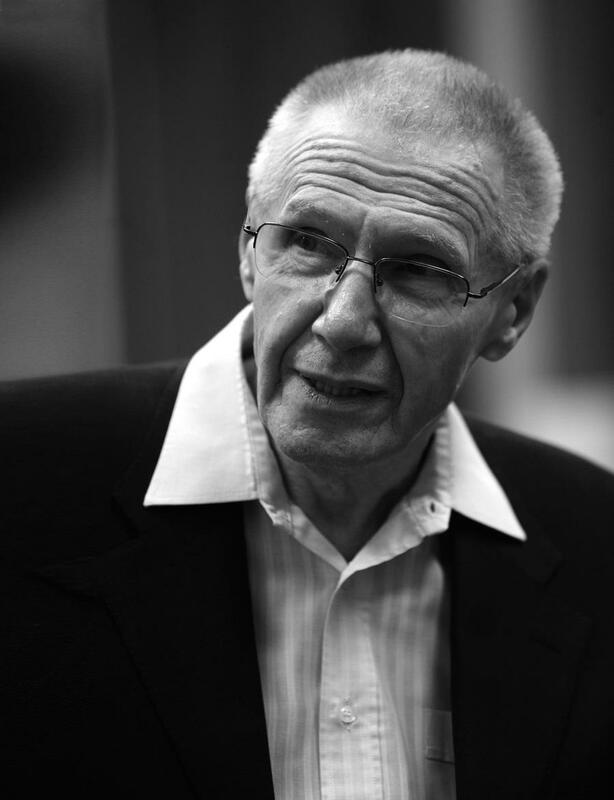 Kurtág was born at Lugos (Lugoj in Romania) on 19 February 1926. From 1940 he took piano lessons from Magda Kardos and studied composition with Max Eisikovits in Timisoara. Moving to Budapest, he enrolled at the Academy of Music in 1946 where his teachers included Sándor Veress and Ferenc Farkas (composition), Pál Kadosa (piano) and Leó Weiner (chamber music). In 1957-58 Kurtág studied in Paris with Marianne Stein and attended the courses of Messiaen and Milhaud. 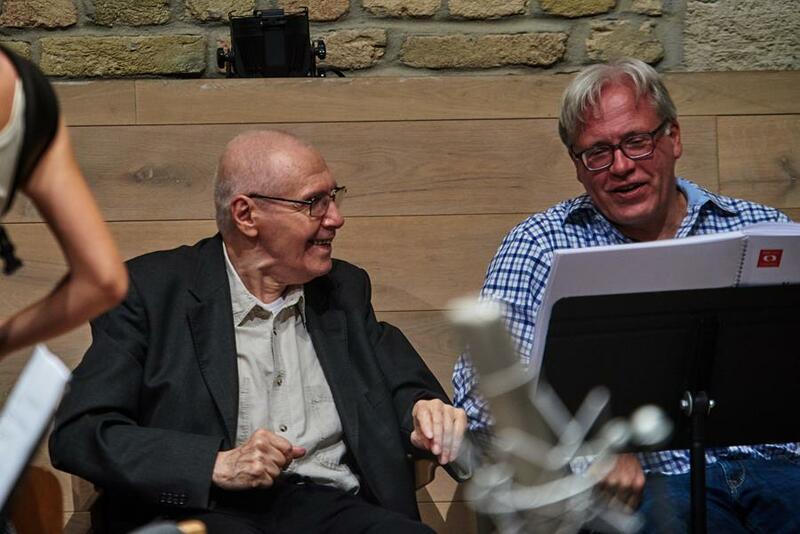 As a result, he rethought his ideas on composition and marked the first work he wrote after his return to Budapest, a string quartet, as his opus 1. 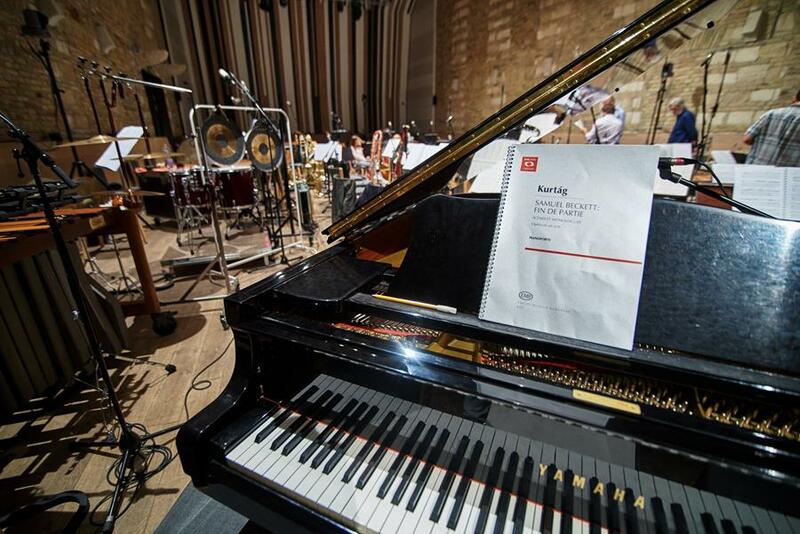 In 1958-63 Kurtág worked as a répétiteur with the Béla Bartók Music Secondary School in Budapest. In 1960-80 he was répétiteur with soloists of the National Philhamonia. From 1967 he was assistant to Pál Kadosa at the Academy of Music, and the following year he was appointed professor of chamber music. He held this post until his retirement in 1986 and subsequently continued to teach at the Academy until 1993. With increased freedom of movement in the 1990s he has worked increasingly outside Hungary, as composer in residence with the Berlin Philharmonic (1993-1994), with the Vienna Konzerthaus (1995), in the Netherlands (1996-98), in Berlin again (1998-99), and a Paris residency at the invitation of the Ensemble Intercontemporain, Cité de la Musique and the Festival d’Automne.